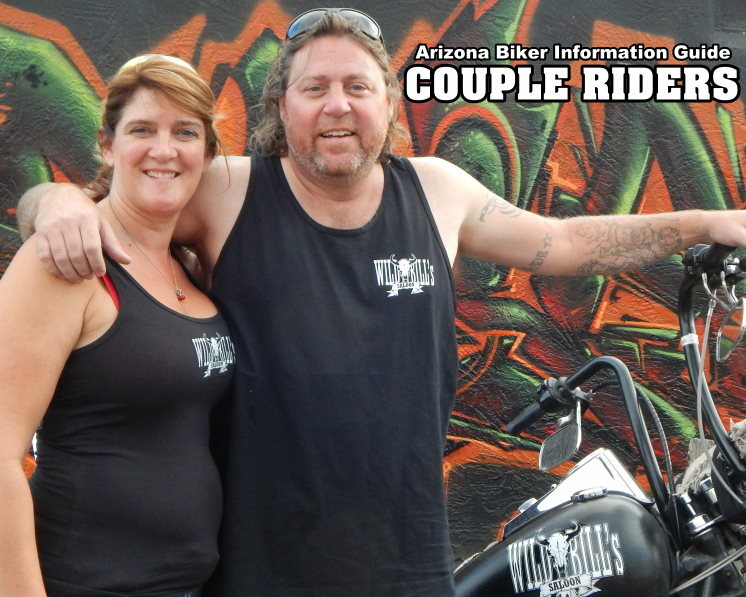 Meet Nick and Cheri, they ride a 2003 Softail Frankenstein. They have been riding together over 8 years. If they look familiar to you it is because you have been to their bar, Wild Bills Saloon. Their favorite ride destination is the Burro Inn in Wilhoit, AZ. Their Bucket Ride List consists of riding to Alaska to Nova Scotia.